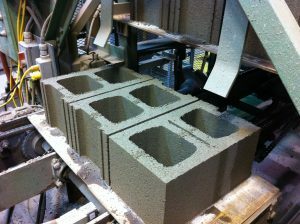 Lantz, Nova Scotia - Shaw Brick, Atlantic Canada’s oldest concrete masonry producer, first conducted testing on an early prototype of the CarbonCure technology in 2007. Nine years later, Shaw has made the bold decision to integrate the Halifax-based sustainable innovation across its entire production line in Lantz, Nova Scotia, effectively reducing the carbon footprint of all its concrete products. “Shaw Brick understands that its customers are demanding more sustainable products, and we are pleased to announce that as of July 4, 2016, all of our standard concrete masonry units and architectural blocks produced in Lantz will automatically capture recycled CO2." Shaw Brick is a division of The Shaw Group, which has been in business since 1861. Over the past 150 years, Shaw’s brick and concrete materials production has been augmented by the introduction of many new divisions such as resource materials, real estate development, and transportation. Shaw Brick continues to find ways to increase the efficiency of its operations and reduce the footprint of its products. Introducing CarbonCure’s technology was a natural fit with the company’s philosophy of continued innovation. The CarbonCure technology injects carbon dioxide (CO2) gas captured from nearby smokestacks into concrete products during manufacturing. Once introduced into the concrete mix, the carbon dioxide chemically converts into a solid mineral. Since the gas has been converted into a mineral, it will never escape into the atmosphere. 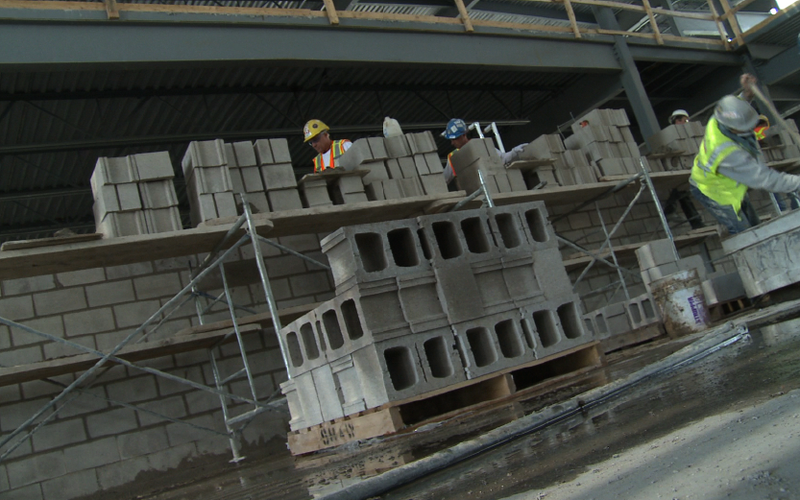 Shaw Brick has been a partner of CarbonCure since the Halifax-based company's inception. Some of the original early prototype testing of the technology occurred in 2007 at Shaw’s facility in Lantz. “Shaw has been a supporter of CarbonCure's technology since the early days when the technology was simply an idea. 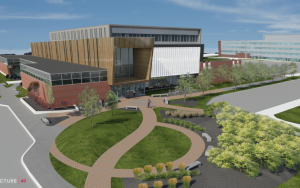 It’s now evident that the technology is the future of the concrete industry, and we are proud to play an integral role in the growth of this local success story,” said James Bond, Shaw Brick's General Manager. 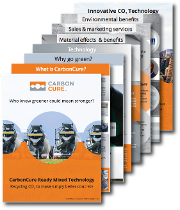 Interested in learning more about CarbonCure's technology. Since 2007, Shaw has been manufacturing products with CarbonCure’s technology when specified by architects, engineers or builders. The products have been featured in several high-profile projects around Atlantic Canada, including Bedford High School, Dalhousie University’s Collaborative Health Education Building, and UPEI’s School of Sustainable Design Engineering. Local architects and engineers support Shaw’s move to produce all of its products with CarbonCure’s technology. "The decision to use CarbonCure is easy - it provides an environmental advantage without negatively impacting the material properties. 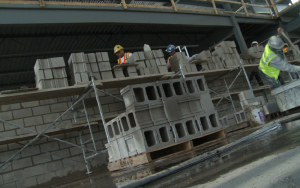 I'm pleased to support the use of CarbonCure's technology in both masonry and ready mixed concrete, and will be encouraging the use of this material on future construction projects," said Malcolm Pinto, CEO of Halifax-based Pinto Engineering, and a seasoned structural engineer with more than 20 years of experience. 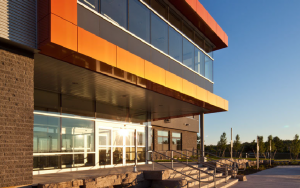 Photos: Masonry made with CarbonCure’s technology is available locally through Shaw Brick, and has been installed in several key projects across Atlantic Canada, including Bedford High School (left & right), and UPEI’s School of Sustainable Design Engineering (center). Photo credit: Architecture49. The Shaw announcement comes after CarbonCure recently announced the expansion of its ready mixed technology across multiple concrete plants in Atlanta through its partner Thomas Concrete. This demonstrates the rapid growth CarbonCure is continuing to experience in key metropolitan markets around Canada and the US. In addition to masonry available through Shaw, CarbonCure ready mixed concrete is available locally in Nova Scotia through Quality Concrete. CarbonCure is concrete’s gateway to the green building community. Its technology chemically repurposes waste carbon dioxide during the concrete manufacturing process. The company also provides a suite of sales support tools such as customized sales training programs, architectural ride along meetings, and LEED documentation. Through collaboration with leading designers, the company and its partners are supplying a scalable solution to address the growing demand for green building materials. CarbonCure concrete is available through concrete manufacturers across North America. Learn more at www.carboncure.com. The Shaw Group has grown brick by brick from its beginnings in 1861 as a small Hantsport, Nova Scotia clay and tile manufacturer. Over the past 150 years, the Shaw Group has become a Maritime construction materials institution. The Shaw Group has several divisions, including Shaw Brick, which all share the common philosophy of providing quality and innovative solutions for its customers. For more information, visit www.shawbrick.ca. Interested in installing CarbonCure's Technology at your plant?